LOCATED IN UPPER GEORGETOWN, HAIR LOUNGE SALON SPECIALIZES IN FINDING THE PERFECT COLOR AND CUT FOR EACH OF OUR CLIENTS' LOOKS AND LIFESTYLES. WHETHER YOU'RE LOOKING TO BEST COMPLEMENT YOUR SKIN TONE WITH BEAUTIFUL COLOR OR ADD DRAMATIC CHANGE WITH A NEW CUT, LET THE MASTER EXPERTS AT HAIR LOUNGE CAST YOU AND YOUR HAIR IN THE BEST LIGHT POSSIBLE.  PERSONALIZED ATTENTION, PROFESSIONAL SERVICES, AND A RELAXING ATMOSPHERE ARE JUST A FEW OF THE REASONS TO CALL HAIR LOUNGE SALON FOR YOUR NEXT COLOR, HIGHLIGHT, OR CUT. TRAINED IN PARIS BY THE RENOWNED BRUNO DESSANGE, HAIR LOUNGE SALON OWNER DANIEL LEVY IS KNOWN AS WASHINGTON DC'S PREMIER COLOR CORRECTION EXPERT. DANIEL HAS SPENT THE LAST 20 YEARS PERFECTING HIS SKILLS AS A COLORIST, AND IS SOUGHT AFTER FOR HIS SIGNATURE LOOK, THE "UPPER NORTH WEST BLONDE". A MASTER STYLIST, HE HAS HANDLED MANY OF THE TOP HEADS IN WASHINGTON AND CONTINUES TO DISTINGUISH HIMSELF AMONG DC SALON OWNERS. "OWNER DANIEL LEVY USED TO WORK AT OKYO; AND RUNS A SALON SPECIALIZING IN COLOR. FROM HIGHLIGHTS TO COLOR CORRECTION, LEVY SAYS THEY CAN GIVE A WOMAN THE SAME COLOR AS WHEN SHE WAS A LITTLE GIRL - AS IN BLONDE." BORN IN TURKEY, MISTIK COMBINES CREATIVITY AND YEARS OF TRAINING TO MAKE PEOPLE LOOK BEAUTIFUL. TRAINED EXTENSIVELY IN COLOR TECHNIQUES, MISTIK WAS NAMED AS BEST CUT AND COLOR BY BOTH WASHINGTONIAN MAGAZINE AND WASHINGTON LIFE MAGAZINE. HIS WORK WAS MOST RECENTLY FEATURED WITHIN THE PAGES OF INSTYLE EDITOR CHARLA KRUPP'S BEST SELLING STYLE GUIDE, HOW NOT TO LOOK OLD. PARISIAN BY BIRTH WITH TRAINING IN FRANCE AND SWITZERLAND, MANU LEGOURLAY HAS BEEN A LEGENDARY PART OF THE WASHINGTON STYLE LANDSCAPE FOR NEARLY A DECADE. MR. LEGOURLAY HAS DEVELOPED A FOLLOWING WITH HIS SIGNATURE RESORT LOOK - FLOWING LAYERS ACCENTED WITH PRECISION HIGHLIGHTS. MANU HONED HIS EXPERIENCE AT TOP SALONS IN MILAN, ST. MARTIN, AND THE GREEK ISLES, AND ENJOYS APPLYING HIS SKILLS TO MEN'S CUTS.